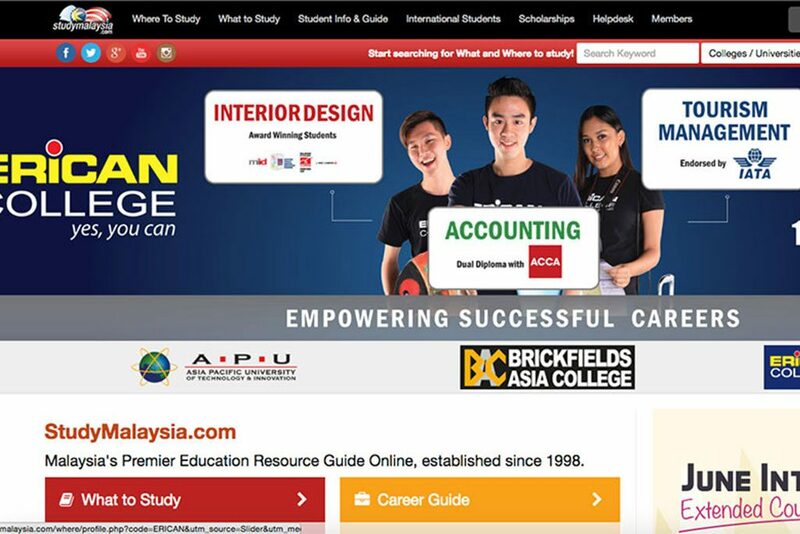 Established in 1998, our website StudyMalaysia.com has an impressive 2.5 million page views per annum & close to a million unique visitors (as of 2017) in Malaysia and around the world. It is listed in all major search engines such as Google and Bing. In terms of popularity ranking, google.com and bing.com have listed www.StudyMalaysia.com as number ONE when one searches for ‘study in Malaysia’. 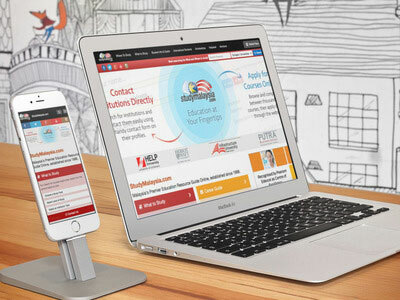 StudyMalaysia.com is the site strictly dedicated to Malaysian approved educational institutions, which promotes the Malaysian Brand to the world education market. There’s more—our page at facebook.com/studymsia enjoys more than 74,000 followers. Premium Position located on main website landing page. No more than 3 Sliders in a month for optimum exposure. Enquire for more information. Email us at enquiry@studymalaysia.com.